The Childers Reforms of 1881 were an evolution or continuation of the Cardwell Reforms of 1868-74. Hugh Childers, the Secretary of State for War, restructured the infantry regiments of the British Army. He divided the country into districts and each district was allocated two infantry battalions, one of which would usually be serving overseas. There would also be a recruiting depot, two militia battalions and volunteer units. 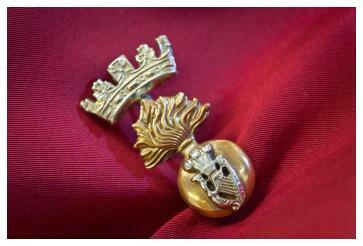 The 87th and 89th became the 1st Battalion and the 2nd Battalion Princess Victoria's (Royal Irish Fusiliers). The recruiting area included the counties of Armagh, Louth, Cavan and Monaghan. The Armagh, Cavan and Monaghan Militia became the 3rd, 4th and 5th Battalion respectively.